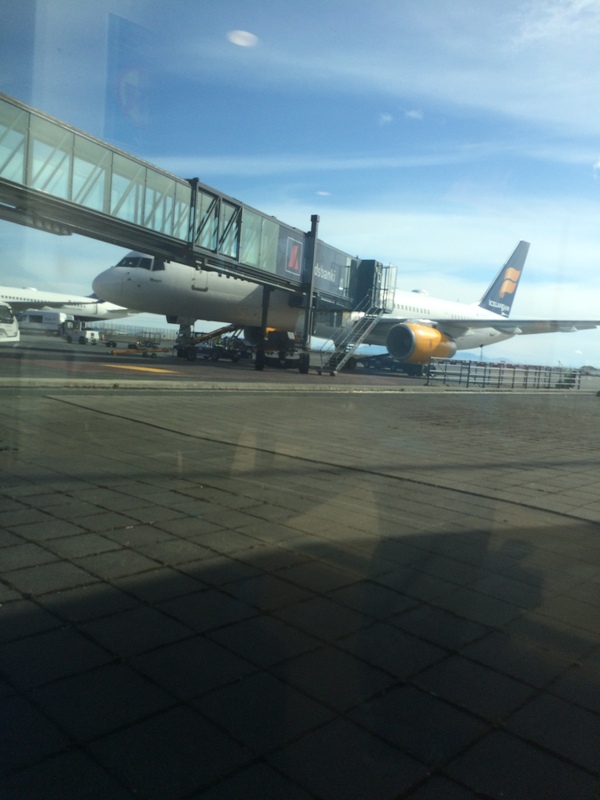 You can wake up in Reykjavik and 6 hours later be back in DC. We had a smooth trip home, not much really to report. Filed for our VAT refund, spent some remaining Icelandic currency in the duty-free shot (saving some for Ben and Courtney’s New Year’s Trip), grabbed a quick bite in the Icelandic Air lounge and flew home. Global Entry helped smooth the process although the longest wait was for the luggage to come (but it did!). We had parked at a nearby hotel using Spot Hero, just $30 for 10 days. We liked Denmark. It didn’t have the natural beauty of Norway or the people warmth of Sweden, but the people were nice and accessible, it was easy to get around, both with public transport and driving. Ellen, as always, gets huge praise for her trip planning skills. We worked well together, changing our itinerary for the first time I remember, to drive further and see more. Aarhus was the highlight of Denmark for me, and that was the city we added. Technology wise, US chip credit cards worked well. We got a BarclayCard with a pin specifically so we could use a card in automated machines (gas pumps, parking meters, etc), and it helped out in several cases. We had good experiences with SIM cards in both Denmark and Iceland. Spoiled so much that our 1/2 day in Sweden felt jarring that we didn’t have data. Impressed that Waze continued to direct us in Malmo even when we lost data coverage. Found a great use case for the Apple Watch. When trying to find a store or restaurant, instead of carrying the phone around for directions, I used Apple Maps and then put my phone in my pocket. The watch then displayed the directions and tapped appropriately when it was time to turn. It worked well and felt much safer not to have the phone out. We did notice that many establishments have added surcharges on credit cards in general or foreign cards specifically. Still better than carrying a lot of cash, but there always seems to be some gotcha to get travelers to cough up more. We used Tripadvisor and Yelp to help select restaurants, and that produced some great meals. That and we repeated meals at The Little Apothecary in Copenhagen and Icelandic Fish & Chips in Reykjavik. Iceland was as wonderful as always. It was nice to have a car and do the traveling on our own. That allowed us to pick our sites and visit towns and restaurants too small for even a 16 person tour group to visit. We had some of our best conversations with locals in stores, especially Skagen in Aaarhus, Thomas Sabo in Malmo and 66° North in Reykjavik. We ask questions of the retailers and find they are more than willing to share some of their background and viewpoints to interested travelers. The biggest advantage of travel in my opinion is how it opens your eyes. Not just to how others live, but taking you out of what your normal is. Things like air conditioning. Copenhagen doesn’t have it because it is rarely hot, but when it is (like when we visit), they deal with it. The stores, the restaurants, the subway cars were hot. But when a rail car is unairconditioned in DC, all of a sudden #hotcar is trending. We are spoiled in the US, with comfort, big cars, and huge portion sizes. At many restaurants, a soda or sparkling water was 250ml, a little over 8 ounces. And that was it. No free refills. And you made it last because it was already $4. I hope to keep that perspective with me of seeing the world differently and challenging the normalcy we get used to. Thanks for reading along, I’ve enjoyed the questions and comments. If you enjoyed it (and got this far), do me a favor and like on Facebook or WordPress, or favorite on Twitter, just so I know you were reading. Until our next big trip, which is….CUBA! This entry was posted on Sunday, July 12th, 2015 at 7:00 pm	and tagged with Denmark, Iceland, Vacation and posted in Denmark, Iceland, Vacation. You can follow any responses to this entry through the RSS 2.0 feed. As one who will probably never travel abroad, I thoroughly enjoy reading about your adventures. What you say about gaining new appreciation for the bounty of our lives is something I have found to be true as I have had experiences that take me outside of my comfort zone. Whenever I go into a prison, a homeless shelter, spend time with someone’s whose disability/illness or poverty is beyond my own, or simply live among groups who are culturally different from me, I gain a new perspective on how much I take for granted. So glad you and Ellen are home safe. Cuba sounds exciting!!!! Onwards!!! !